By now you have probably come across the several teasers of Aangan, an upcoming period drama by Hum TV that features everyone’s favorite onscreen couple, Ahad Raza Mir and Sajal Ali. Hum TV has finally let on the schedule and release date of the drama. According to Hum TV, Aangan will start airing on the channel starting 13th of December, 8:00 PM. Aangan is set in the 1940s and depicts the era of Muslim struggles against the Hindus. It will show the period before Pakistan got its independence. Apparently, the drama will show two timelines, one in the future and one in the past. The stellar cast of the drama has left many excited. On top of Ahad Raza Mir and Sajal Ali, the following celebrities will also be a major part of the drama. The drama is written by Mustafa Afridi and it is based on the novel by Khadija Mastoor. It has been directed by Mohammad Ehteshamuddin and produced Momina Duraid. Aangan will air on HUM TV every Thursday at 8:00 PM. 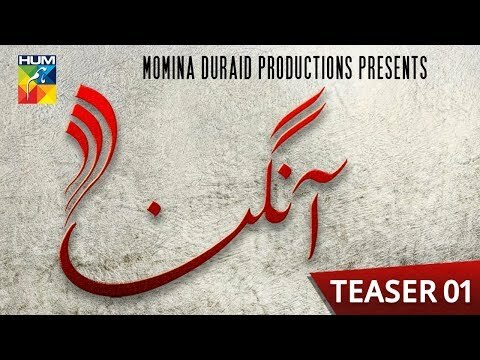 Once Angan has been released, all of its episodes will be uploaded on Hum TV’s official Youtube. All episodes will also be posted here once released.